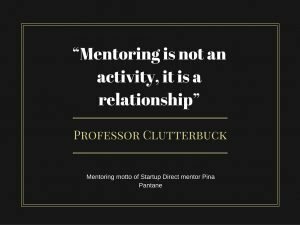 At Startup Direct we have a number of mentors that have successfully set up and run their own businesses. 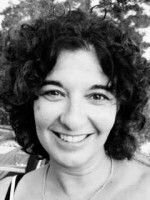 We asked Pina Patane, a trained psychotherapist and counsellor who has run her own business since 1994 which has had clients the likes of Fortnum and Masons, her words of wisdom on mentoring. When I started my first business in 1994 I was 25 years old with an 18-month old baby. I have always been driven and a fighter and did not even consider asking for help. You feel you know your business and you don’t want anyone telling you what to do. Years later after many roadblocks (and rather annoying screw-ups), I started working with a mentor, this sounds cliché but my business literally changed. I was fortunate to have a mentor who was a great listener, making me feel heard and understood (this helped greatly to build trust). I found myself having more headspace to look at the business from a ‘birds eye view’ and emotionally managed to release myself slowly from the business. This experience has been invaluable in learning to make better decisions. The reality is that building a business is not easy and at times it can feel like walking into an overwhelming maze where it seems there is no route out. What I found with my mentor was a guide helping me through the maze. Having that trusted person on my side had a huge effect on my life. My business became more structured, my role clearer and it allowed me to take a proper day off! I gained time and my business grew just by asking for help. My experience before and after having mentor is why I decided to become a mentor myself. You see, as an entrepreneur in a start-up it is often difficult to see the possible potholes ahead. The dream is the driving force and making the business work is paramount. However, what can start to happen is you find yourself working endless amount of hours on the smaller things (they do need to be done) and neglecting the larger overall plan or model. 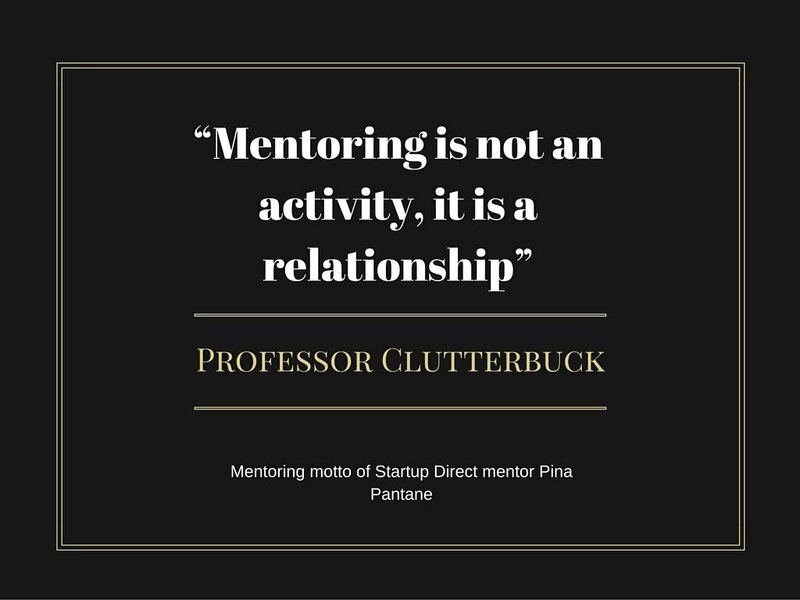 Being a mentor I can help highlight this and together work with an entrepreneur as they improve their skills and awareness to look at assess the options that are available. I can share my own experiences to the benefit of the mentee. For more advice on mentoring, please see our new Mentoring Booklet. In section 2 of this booklet we emphasise the importance of building trust and the best ways of establishing, maintaining and ending a mentoring relationship. These booklets are produced as part of Global Entrepreneurship week in partnership with Youth Business International, Virgin Startup, Unltd and Barclays bank.